A lot of research often goes into buying that new piece of equipment or tank for your farm or project. Making the right choice first time around will save you time, money and stress, so we’ve compiled a helpful list of things to consider when buying a tank! 1) What will the tank be used for? Will you be using it for water cartage, spraying, firefighting, or perhaps for liquid fertiliser applications? Tanks are made from different grade materials depending on what they will be housing, and some applications will require the tank to be fully drainable or manufactured using a specific type of raw material. It important to get the right tank for the job. 2) What size tank to you need? 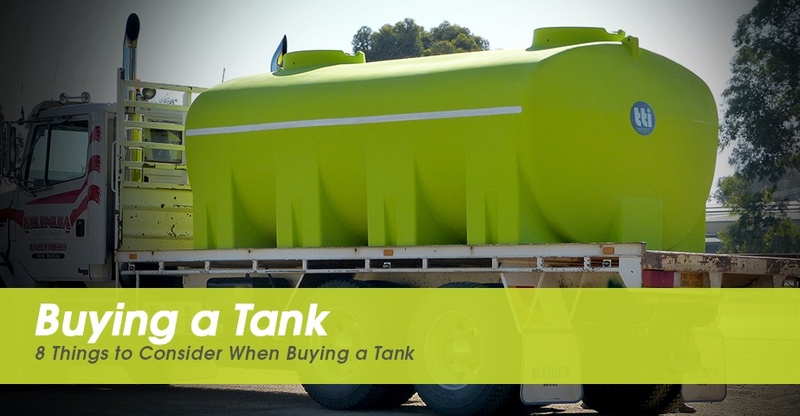 Will your tank be used for a small job, or will you be carting large amounts of liquid? Tanks range from 20L through to 17,000L, depending on your application, and larger sizes can be created using a modular system. 3) What material would you like your tank to be made from? There are a number of tanks on the market constructed from varying materials, such as steel, fibreglass, aluminium, stainless steel, and polyethylene. Whilst all materials come with positives and negatives, poly is a strong alternative to metal and fibreglass – it is lighter, rust resistant, and bears the brunt of impact without cracking (read our article on tough poly tanks – click here). 4) Where was the tank manufactured? Tanks made in Australia from locally-sourced materials are made tough for Australian conditions. UV stabilisation is incredibly important for the harsh summer sun, and the right tank fittings are essential for keeping out the elements. 5) Are you carting potable water? If so, it is essential to make sure your tank is made from food grade materials and does not allow light penetration which can lead to algae growth. 6) Are you going to be moving your tank around, or will it be permanently situated on one vehicle? 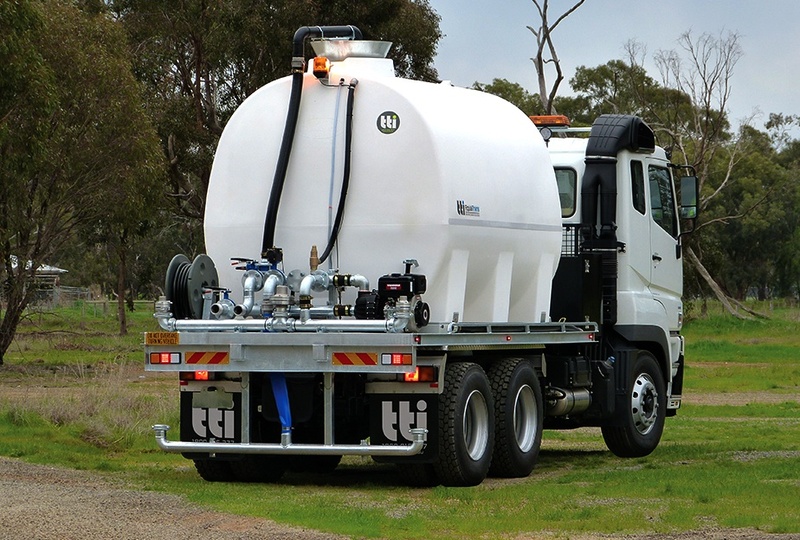 Tanks can be chassis mounted for permanent application, or set up as a moveable configuration for multi-use trucks. For permanent set ups, tanks can be bolted directly to the tray of your truck or trailer, whereas for not-so-permanent set-ups, a skid can be mounted to the tray that allows you to slide the tank on and off when necessary. ball baffles cut down liquid movement inside any transport tank, resulting in improved vehicle stability, better braking control, and reduced wear and tear on drive train, brakes and suspension systems. 8) Does your tank come with a warranty? No matter the size of the tank, you are making an investment. Most tanks come with some sort of warranty, although some are for longer periods then others. Generally, if a tank comes with a substantial warranty, the manufacturer is sure of the product and knows what he is selling is of great quality. Not all tanks are made the same, so it’s important to know what you’re buying! If you have any questions. Please do not hesitate to contact our friendly sales team on 1800 816 277.